darkness of the overhead branches in this dense forest. of wings over my head knowing it must be bats of some kind. I feel afraid for the first time since I started my walk. 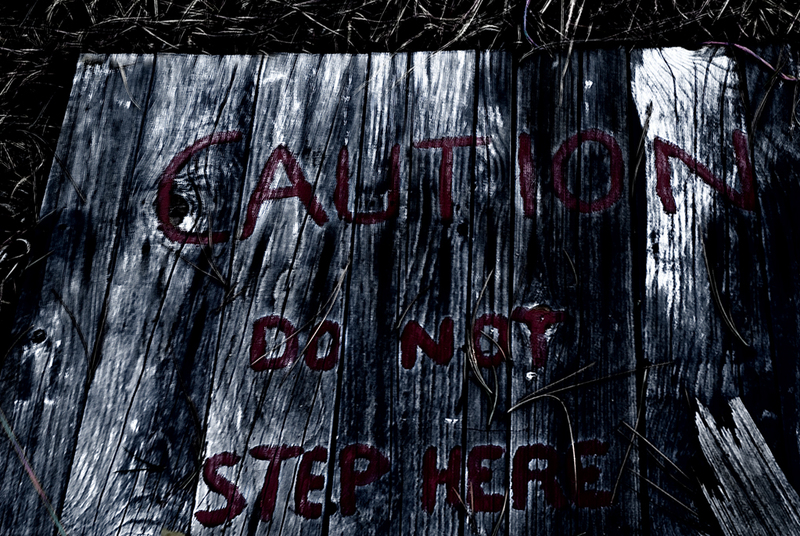 "CAUTION! 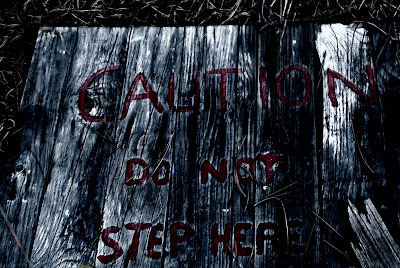 DO NOT STEP HERE"
I know now for certain I am not alone. God is here. through those old boards that covered a deep old well. knows every thought and intent of our heart. Only He knew I was there alone. another step without seeing that sign. that is my world right now. the darkness to "find" his love and peace. realize that sometimes even feelings of fear can be a gift. He has bestowed so graciously upon me. journey into a dark, moonlit forest to find peace.